Welcome to Coopers of Worcestershire. We are driving instructors in Stourbridge and all surrounding areas. We offer first class driving tuition and intensive courses and have a record for excellent pass rates. We offer single lessons in both manual and automatic cars at a competitive rate, and the option of an intensive course for people who prefer to learn to drive in a short space of time. We also offer refresher courses for people who are interested in improving their driving and off road driving lessons for the under 17's. All of our driving instructors are approved by the Driving Standard Agency and pass plus registered. Our aim is to get you through the driving test quickly and safely. 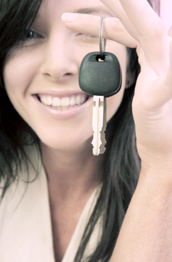 We will provide help with everything from theory training to booking your practical driving test. Because Coopers is a driving school run by instructors, you save money on your lessons too. We go further than any other driving school to make sure you have the very best chance of a first time pass rate and making sure the process of learning to drive is fun and enjoyable.